Precast holder that are already cast in a prefabricated lattice girder elements at the concrete factory offers fast and safe mounting of edge protection. The Precast holder has an integrated post lock and is casted into the elements at the factory. 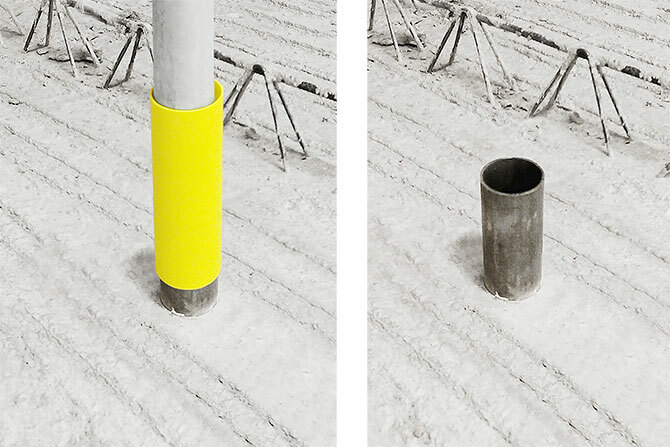 Protection sleeve is mounted at the desired height at the working site, and is adapted to the casting height/slabs thickness. 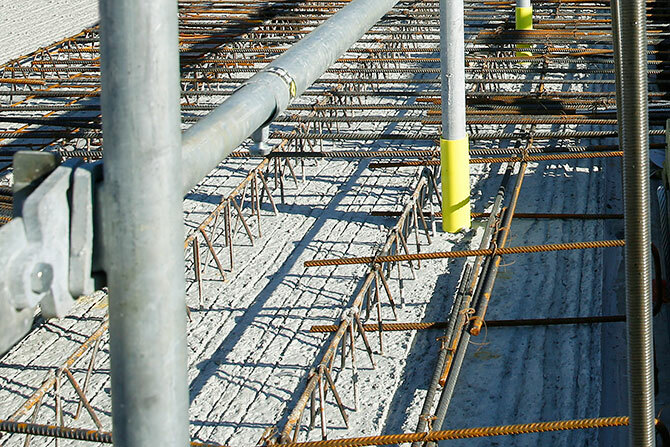 Post 1,3 m and Barrier 2,6 L are installed either before or after that the prefabricated element is lifted in place. The Barriers can easily be lifted to the desired height when casting. No tools are needed. The products are tested in accordance with EN13374 and meet the dimensioning requirements according to the Euro Code. 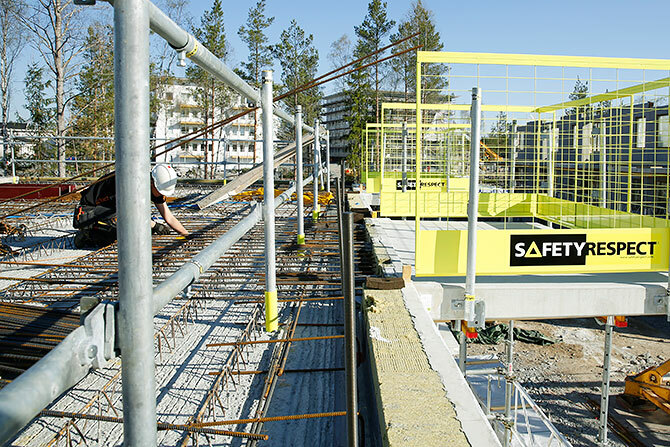 In constructions with prefabricated slab decks even the Precast edge holder can be installed onto the formworks edge after that the attachment has been pre-designed. 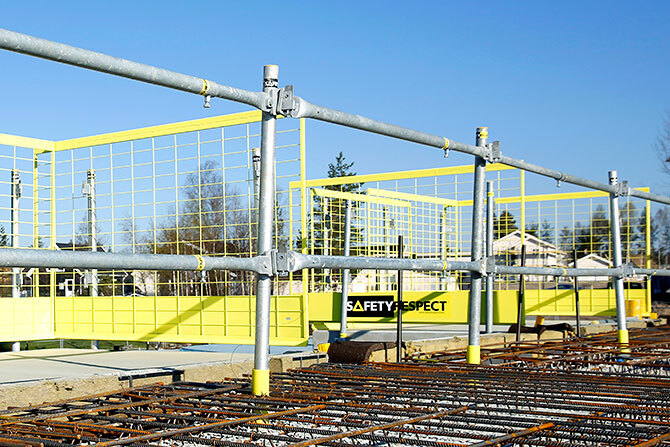 A dialogue takes place between the manufacturer of the prefabricated material and SafetyRespect’s technical division as to the edge protection solution and positioning of Precast holders, etc.